Are you tired of mince pies, grumpy in-laws and that song by Slade? Does the feeling of Christmas creeping up on you make you feel slightly like a hunted animal? Do your friends call you by the seasonal nickname ‘Scrooge’? If you answered yes to all of these then please read on. When that Christmas magic starts dwindling then it is time to try and rediscover the most wonderful time of year. Take a change of direction and head out the door at Christmas; ditch the tradition for something a little…different. Plan yourself a Christmas getaway! If you’re going to alter your Christmas experience than you may as well take it to the extreme. Adopt a different type of white Christmas with a trip to the white sands of Indian Ocean. The beaches here will seem much more appealing than the snow you’ve left behind. From chilling on the beach and swimming in the clear blue sea, Christmas in Mauritius will certainly display a new pace to festive life. If you’d like to get a little more active, why not take a Christmas walk up to the summit of ‘Le Pouce’ which will offer you fantastic views of Port Louis and the north of the island? You can also don some snorkel or scuba gear and give your festive wishes to some of the marine life in the Indian Ocean. Tropical fruits will replace the dried fruit cake you’re used to back home, and rather than a Christmas tree, the extravagant red flame trees will stand proudly in bloom. Not all the Christmas spirit will be missing; numerous streets will set up artisan markets where hawkers will sell various Christmas gifts. You can even go as far as getting a turkey from one of the local supermarkets that has slowly begun to cater to Western tradition. Tempted? 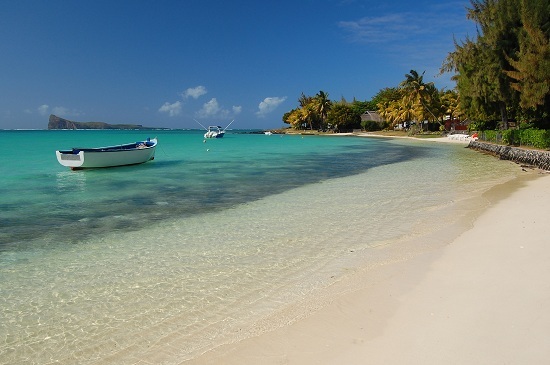 Take a look at our holidays to Mauritius from £987. The thought of a barbecue in December would have many of us concerned and confused. But this has become something of a Christmas tradition in Australia. 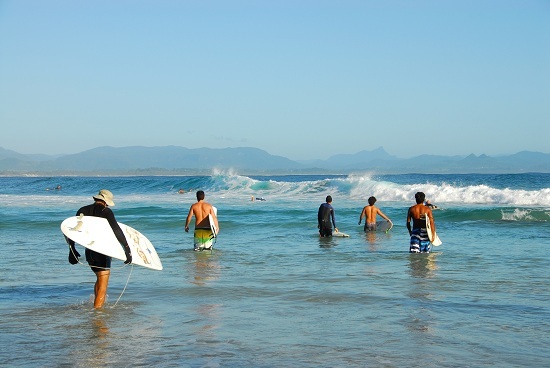 Many families like to head down to the beach on Christmas day, get the barbecue fired up and bask in the summer sun. If you head to Sydney at Christmas you can flock down with the crowds to the iconic Bondi Beach and enjoy a Christmas picnic, and if you’re brave enough, a cheeky surf too. Australians always look to make the most of the sunshine, and that includes the Christmas period, so don’t expect the typical routine of sitting around drinking sherry and arguing with relatives. Get outside and play some cricket in a park – just remember to set the recorder for the Boxing Day Ashes Test, unless of course you’re lucky enough to score tickets. There are plenty of ways to get into the festive spirit around many of Australia’s cities. In Sydney there is an infinite Christmas Choir at Pitt Street Mall and also the Christmas Projection Festival. In Melbourne you can head to City Square, redubbed ‘Christmas Square’ in the run up to the big day. Fancy a trip Down Under? We've got flights to Australia from £699. A trip to the ‘greatest city in the world’ at any time of the year would be a special experience. But to combine this trip with the ‘most magical time of year’ is a recipe that can never fail to impress. Christmas sparks an even greater dose of life into the city that never sleeps. It all starts with the simple addition of snow. A stroll through one of the city’s iconic parks sprinkled in icy white with twinkling fairy lights all around you will set the magical tone of your Christmas getaway. Combine this with some more wintery activities, such as ice skating at the Rockefeller Centre whilst thousand of tourists look on wide-eyed. Christmas is a great time to hit some of New York’s mega shopping department stores. Just try and avoid Macy’s Herald Square on Boxing Day if you value your personal safety! If New York still doesn’t seem to capture your festive imagination then why not catch a Christmas-themed Broadway show and start singing some brand new Christmas tunes. Christmas in New York wouldn’t be complete without waking up on morning of the 25th in a grand hotel room complete with Christmas tree and presents – see Home Alone 2 for inspiration. Want to take a bite out of the Big Apple? 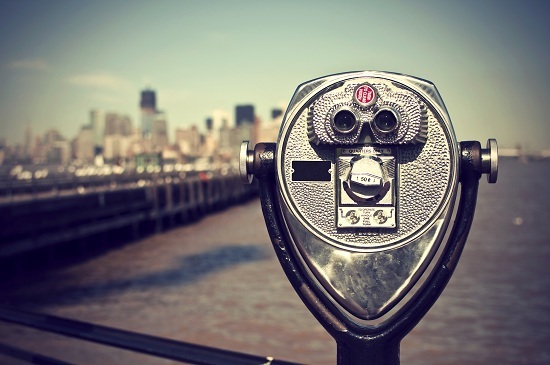 Here are our cheap flights to New York from just £369. If the thought of hopping from tropical island to tropical island is more your idea of Christmas tradition, then there’s probably no better destination for you than Thailand. Whilst Christmas is a bit of a non-event in this predominantly Buddhist country, there is always a healthy Western population present to spark some life into the December days. The larger towns and cities will take some part in the fun and festivities with decorations and trees erected in shopping malls and restaurants. In fact recently a group of 852 Thai youths broke the world record for creating the world’s largest human Christmas tree! But that is really where the traditional side of Christmas ends – but you’re not here to experience another standard December 25th are you? What Thailand may lack in festive spirit, it makes up for in natural beauty, particularly in its beach culture. Start off in the south near Krabi where you can enjoy some fantastic seafood and hop around some beautiful mainland and island beaches. Burn off some of those Thai food calories with rock-climbing at Railay Beach and a snorkelling trip off of Ko Phi Phi Island. If you still haven’t had enough of your beach fill, head to the East Coast and hop between Ko Samui, Ko Pha Ngan and Ko Tao to get your sun and relaxation fill before heading home to a cold January. Dreaming of seeing some sunshine this winter? 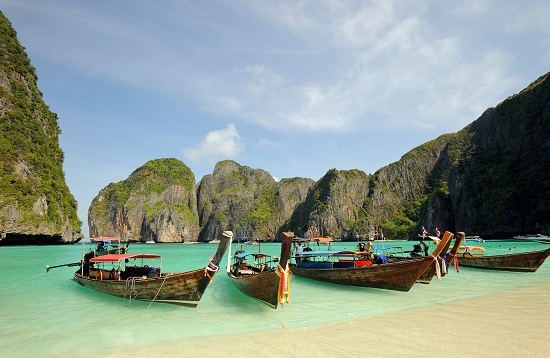 Fly to Bangkok from £455 and explore the beautiful islands from there. As one of the seven Emirates that make up the UAE, Dubai wouldn’t be considered as a shoe-in for widespread Christmas celebrations. But for those of you that head to the Middle East for the festive season, you will be pleasantly surprised. In fact, this year Dubai has made an extra special effort in raising Christmas cheer with the holding of the Dubai Christmas Festival. Artificial falling snow, ice rinks and snowball-fighting pits are among some of the features at this year’s event, as well as the mandatory Santa Claus. The majority of the leading hotels in Dubai, many of which are Western brands, will all be celebrating in fine style. Many are showcasing fantastic Christmas meal offers that will allow you to commemorate the big day with the utmost manner. Away from the hotel you can always find a local spin to apply to your festive requirements. The fantastic range of traditional souks and less traditional malls will keep you shifting through stall to shop for hours, searching for that perfect gift. And whilst you may not get some of the real white stuff during your visit, this won’t stop you indulging in a little sledging. Head out to the incredible surrounding desert and enjoy the unique landscape whilst sliding along the sand on a makeshift sledge. You have to indulge in these pastimes somehow don’t you? 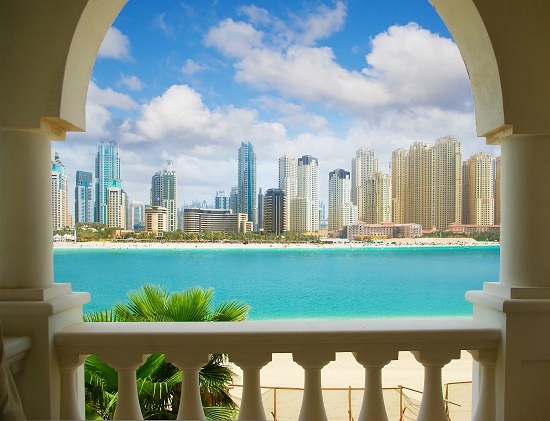 If Christmas in Dubai is for you, we've got flights to Dubai from £326 or holidays to Dubai from £399!